Residential & Commercial Waste Disposal Bankside SE1 | RDA Cleaning & Maintenance Ltd.
You have some rubbish that you need to be taken care of? Don’t worry we have it covered. RDA Cleaning & Maintenance Ltd. is a professional waste disposal company, specialized in rubbish removal Bankside SE1 services. All the services that we provide are great for both residential and commercial clients and are in accordance with the British waste management requirements. Our vetted professionals do their best on the job. That means that our company can guarantee you a high-quality service thanks to them. But not only are our service of the highest quality, they are at affordable prices as well. 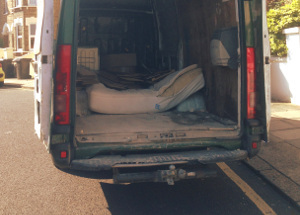 So Why Hire Our High-Quality Bankside SE1 Rubbish Collection Service? RDA Cleaning & Maintenance Ltd. is a well-known professional waste collection Bankside SE1 company. We know and always apply the most optimal formula for disposal wasting in your home or in your office space. The experienced technicians are trained to handle each individual case with a personal approach. Once they check out the junk you want to deal with it quickly, they will make you an offer. Only after decent negotiations about the correct date, the final price depending on the junk size, the transportation route and the details for the packing, the contract is signed. Note that you do not have to provide us any bags, cardboard or other packing materials. We only need some parking space to leave the van with all the necessary materials we will bring. The truth behind the success of each waste disposal Bankside SE1 performed by our company is that we send only well-trained and educated technicians. We have hired decent workers with rich experience on the market. We provide them additional qualification and we test their skills in real time to make sure the customers receives the top assistance they deserve. The removal technicians are insured, so your place is at safe hands. In case of any damage or loss, we cover the omissions. Still, these are very rare cases of accidents. The service has a wide coverage across the UK and our company has no day-off. We are available for your reservations 365 days per year with no holiday or weekend exceptions. So, if you wish to hire a professional rubbish removal Bankside SE1 company that will do their job with the fastest of means and no hassle, then, by all means, please give us a call at 020 3404 1646 or use our online booking form and we will be straight on the way to your location. Lern more about our rubbish removal deals and get a free quote!